As you know I don't often do author interviews however in this case I am really glad I did, enjoy! Where did you come up with the idea for this book? I worked with deaf students when I was teacher training and read a lot about deafness. I was so interested by the way sign language worked and how beautiful and complex I felt it was. Also, I saw a movie about Helen Keller years ago and it really stayed with me, especially the moment where Helen learns her first word, ‘water’. 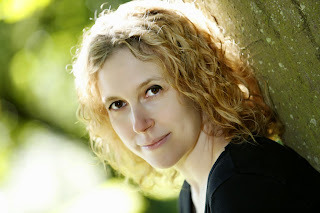 When I came to write this book, I started with the idea of deafness and then it occurred to me that a huge challenge would be to have my character lose both her sight and her hearing – a challenge of course for her, but also for me as a writer. And I can’t resist a challenge! When did you decide you wanted to write a book and why? I’ve been writing stories since I was a little girl. My first attempt at a novel was when I was about 12 and it was a western! My second was a hospital drama! But I started writing seriously when I left full-time teaching and started a Masters in Writing, about 13 years ago. That’s when I knew I wanted to pursue it as a career. But I’ve always loved writing, and now I can’t imagine NOT writing. Reading my review, it is obvious this book, especially at the start, touched me. How did you decide on the content and focus the first half on the communication aspect? I’m so glad it touched you – thanks for saying so. It just seemed the logical place to start, with Liza’s early experiences. I liked the idea that the Visitors were with her right from the beginning, so that’s why I decided to start with her birth and have them there, watching her. Also, she is born with little sight and I wanted to convey that too, as well as the loss of her hearing and sight in her first years. I read about Keller’s early years, yet I read even more about a girl called Laura Bridgman – I wrote an article about it here: https://www.hodder.co.uk/Articles/THE%20VISITORS%20and%20Deaf-Blindness.page She was the first deaf-blind child to be formally educated in America. I read a wonderful account of her education, written by one of her tutors. The process of teaching her finger-spelling, then reading, then writing was so fascinating to me, I wanted to convey this to readers. I hoped they would find it as interesting as I did. Did you mean for it to have an impact upon your readers? Gosh, yes, I certainly hoped it would. I was very moved by what I read, particularly by Laura’s determination and astonishing progress – not only in her ability to communicate, but her journey to becoming a full human being. Liza has a different character and a very different outcome to Laura, but they share that ferocious drive to learn. I admired her and Keller so very much, and wanted my character to have a similar impact. I have a very mixed taste, but I must admit I do read mostly historical fiction, and much of it written in the past. Until recently, I rarely read contemporary novels, but now I’m in the publishing world I’m open to a lot more influences and have discovered some fantastic current novelists, which has been a joy. As for particular authors, my influences include Charles Dickens, Margaret Atwood, Thomas Hardy, Daphne du Maurier and John Fowles. My favourites at the moment include Amy Tan and Isabel Allende – I’d read just about anything by those two. Great, sweeping novels and very entertaining. Who did you read growing up and do you feel they inspired you? My earliest memories of books were those wonderful Ladybird Well-Loved Tales from the 60s, with the beautiful paintings by artists like Eric Winter. As a kid, I read a lot of escapist stuff about other worlds – loads of Enid Blyton (the fairy/toy books more than Secret 7 etc.) and my absolute favourites were the Doctor Dolittle books – I read and reread them over and over, longing to escape on a boat and travel to distant lands, as he did. I also was a massive Star Wars fan! And even tried to write a sequel to The Empire Strikes Back, with my brother! We were very annoyed when George Lucas beat us to it… Later, I read a lot of English, American and Post-Colonial classics at university – the Brontës, Hardy, Blake, Wordsworth, Denis Potter, Jean Rhys, Scott Fitzgerald, William Faulkner – as well as Spanish and South American literature e.g. Federico Garcia Lorca, Gabriel Garcia Marquez, some of which used magic realism. I also read The Lord of the Rings in my final year, when I should have been revising. All of these influences – as well as the many movies and TV drama series I’ve watched over the years – mixed up like a delicious soup and hugely influence my work now, in unexpected and mysterious ways. Were you trying to get a message across in your book and if so why? Ooh, that’s a good question. Uh, I’m not really sure! I guess I was just interested in the different aspects of Liza’s condition, her friendship with Lottie and the power of first love, and the mystery inherent in the Visitors. When I researched the Boer War, I was surprised by a lot of what I learnt – particularly about the concentration camps – and so I felt the reader might find that informative, but also a good part of the story. But really I wanted Caleb to grow up and become himself, and his wartime experiences in Africa and meeting Maria did that for him, and ultimately freed Liza to be herself too. If the book has a message, I’d guess it would be not to underestimate anyone, based on their circumstance or situation – that one can overcome adversity and achieve almost anything, with determination and self-belief. It’s also a story about the power of friendship, something very close to my heart. What’s next for Rebecca Mascull? Well, I’ve just finished my next novel and was thrilled to be offered a two-book deal by my publisher Hodder and Stoughton, for that novel and the next one I’ve yet to write. The new one is about an C18th orphan girl who becomes a scientist and makes a remarkable discovery. It’s presently in the editing process and is due to come out in 2015. As for the next one, I am bound to keep that under wraps! Suffice to say, it is likely to be set in the early decades of the twentieth century, but that’s all I can say about that right now! In the meantime, the paperback of THE VISITORS is due out on July 18th. It has a gorgeous cover, have you seen it?! Thanks so much for great questions, Lainy. It’s been a pleasure. 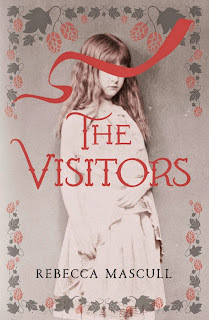 And now, you can win a signed copy of The Visitors and a bookmark, this competition is only up for one week as I have two other running until the end of the month. As always you can enter with the rafflecopter below and any problems just email me or tweet and I will sort it out. PLEASE NOTE, the book cover uploaded below is of the paperback version of The Visitors, the cover of the book you are entering the competition for is the one shown on my review. I'm reading The Pink Suit by Nicole Mary Kelby - only started it this morning. Great interview, Lainy! It's always interesting to learn what inspired an author to write a particular story and just how much research goes into a book. It sounds like this subject matter is dear to the author's heart and, from the reviews coming out, she succeeded in reaching the hearts of her readers. A great book, its lovely to read this interview with Rebecca. I was curious as to the real life knowledge that went into this book when I read several reviews of it. I am also very interested to read about literary influences. These are very impressive. The Visitors sounds fantastic. Wonderful interview as well, interesting that the author worked with deaf students. Helen Keller is an inspiration. The book thief its a great book! I'm reading Clash of Kings from George RR Martin's Song of Ice & Fire series - have to read all of the books before I can watch the Game of Thrones shows!! I'm reading Flowers in the Attic by Virginia Andrews for the second time!! I'm reading Wedlock, a true story of the Countess of Strathmore and Georgian Britain's worst husband! It's excellent. The Bowes family lived at Gibside house, which is a local National Trust property and got me interested in the book. The story is fascinating and at times even more unbelievable than fiction! I HAVE JUST FINISHED aLLEGIANT BY vERONICA rOTH AND I'M HAVING BOOK WITHDRAWAL! !